The Bass Coast and Beyond 6D 5N, 286 km. Close by Melbourne. Easy access by coach. 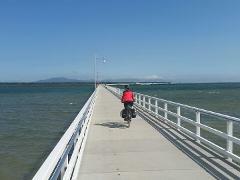 Cycle green Gippsland along the beaches and through the rolling hills - every day is different. Starts: Cowes Philip Island; Finishes: Leongatha Gippsland. 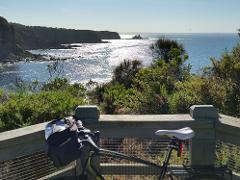 Start in Melbourne cycle great scenery & wonderful old towns to the spectacular coast and then back through historic old settlements on quiet roads through the rolling green hills of Gippsland. Enjoy beers, whiskies, fresh food and wines. Close by Melbourne easy access by train. 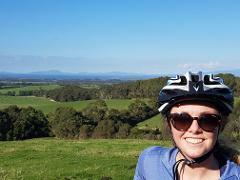 This is a wonderful cycle through dairy country with clear blue skies and wide open spaces. Enjoy the views of the Great Dividing Range and the Gippsland Plains. Love the wines, cheese and cafes. Start right in Melbourne Cycle and begin your cycle on Beach Road. 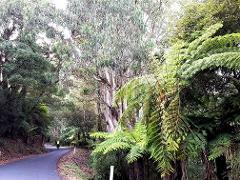 Then pedal the Mornington Peninsula, along the wild Bass Coast, over the hills and the valleys of the Strzelecki ranges. Love the beers, whiskies, fresh food and wines. Close by Melbourne easy access by coach. enjoy the varied cycling on 3 rail trails. 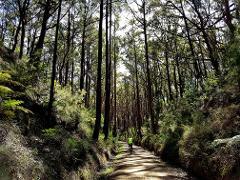 Adults and kids will enjoy exploring the stunning scenery, fresh food & quirky country towns on the Bass Coast, Grand Ridge and Great Southern Rail Trails. 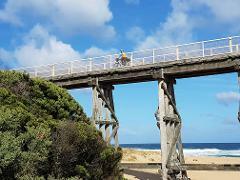 This is a self supported cycle along the Great Southern Rail Trail in Gippsland. 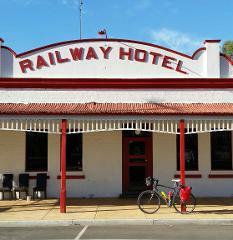 We include 2 nights accommodation and a pick up at Port Welshpool. 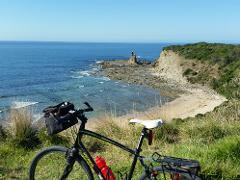 We transfer cyclists & bikes to Leongatha. You bring your own bikes and carry your luggage.